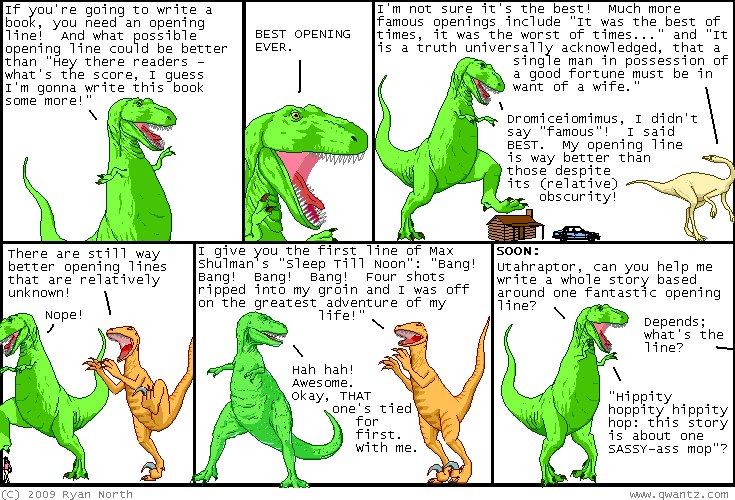 Dinosaur Comics - June 24th, 2009 - awesome fun times! –Last night was the best party ever! June 24th, 2009: A few people have pointed me to this passive-aggressive note and I approve of it 100%! One year ago today: what i am saying here is that there are issues even with a meritocratic fascism. so don't do it, okay? ?